A US senator has urged President Donald Trump to get tough with North Korea and "stop the madman in Pyongyang" after the communist nation fired a barrage of ballistic missiles in violation of UN sanctions. The North fired four missiles Monday morning local time in the second such launches after the Feb. 12 test-firing of a newly developed intermediate-range ballistic missile. The missiles flew about 1,000 km before crashing into Japan's exclusive economic zone waters. The launches were seen as a show of force by Pyongyang in response to the ongoing annual joint military exercises between South Korea and the United States that the North has long denounced as a rehearsal for an invasion of the country. "North Korea's reported launch of multiple missiles comes approximately one month after the regime claimed it successfully tested a new type of ballistic missile," Sen. Cory Gardner (R-CO) said in a statement issued just hours after the launches. "Pyongyang's growing aggression must be met with a tough policy response from the United States, including new sanctions, show-of-force exercises in the region and the expedited deployment of the Terminal High Altitude Area Defense system," he said. Gardner also stressed the importance of strengthening alliances and reassuring allies of US security commitments. "I look forward to seeing immediate and determined actions from the Trump administration and will be asking for a full briefing outlining the actions it will take to stop the madman in Pyongyang," he said. 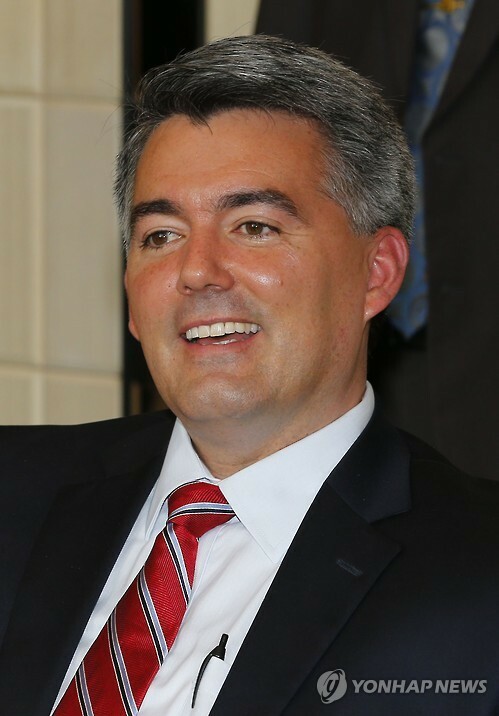 Gardner has been a leading voice in Congress for greater pressure on Pyongyang, and is the author of the landmark North Korea Sanctions and Policy Enhancement Act that authorized significant sanctions on Pyongyang for its nuclear and missile development as well as human rights violations. In recent weeks, Gardner has called for adding the North back to the State Department list of states sponsoring terrorism in the wake of last month's killing in Malaysia of Kim Jong-nam, the estranged half brother of North Korean leader Kim Jong-un.